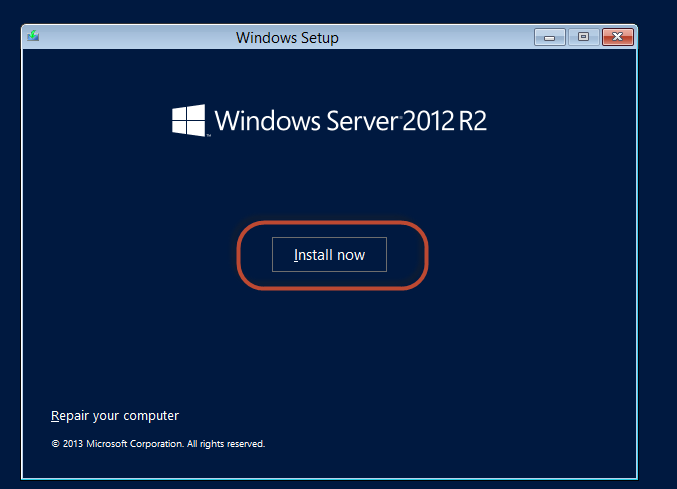 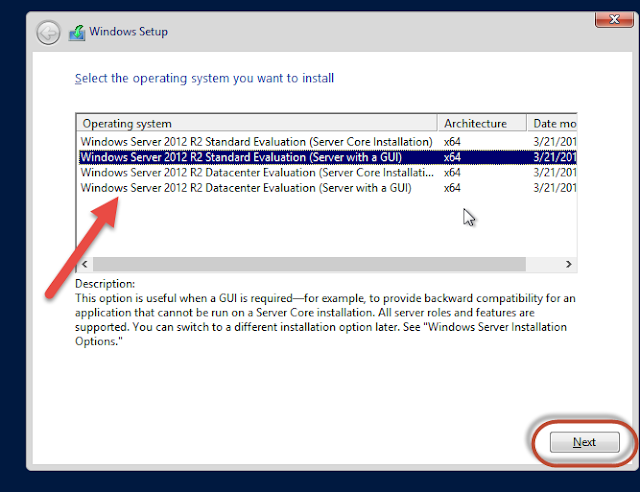 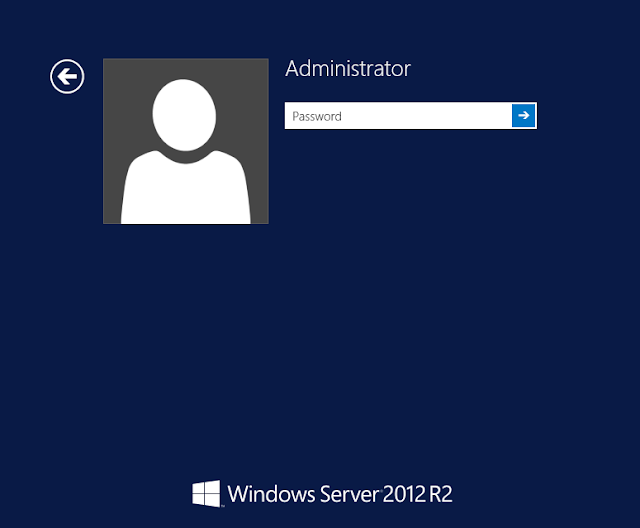 I recently had a need to create a KVM image of Windows 2012 server. 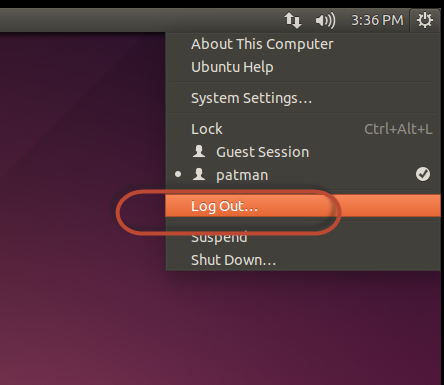 I thought I would take the time to show how to do it here. 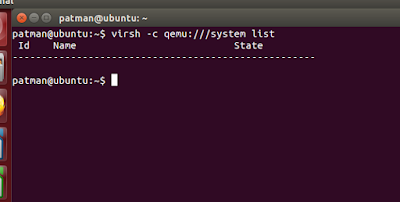 I am going to show how to do it via Ubuntu 14.04.3 Desktop that itself running as a VM on a VMware Workstation 10. 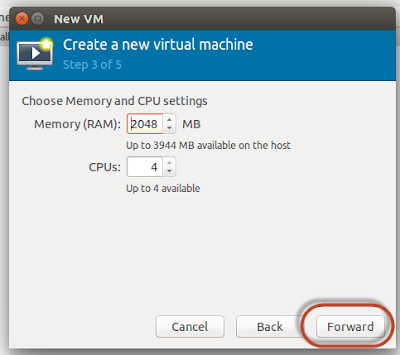 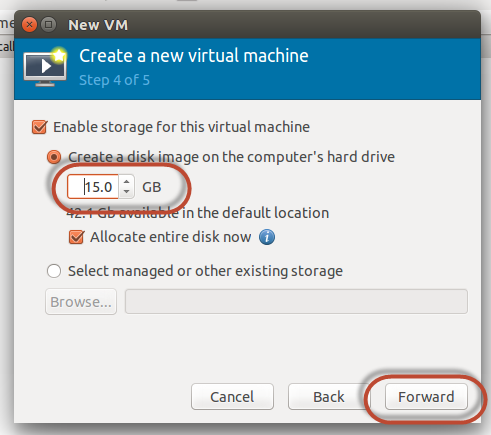 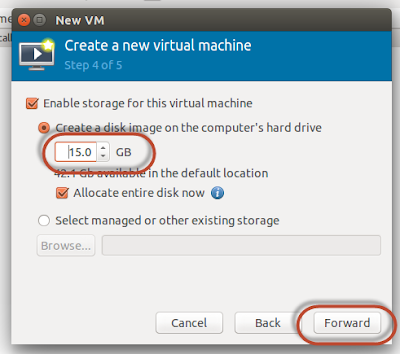 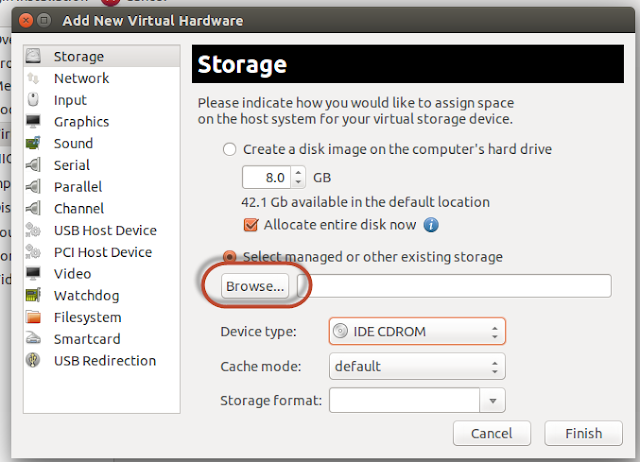 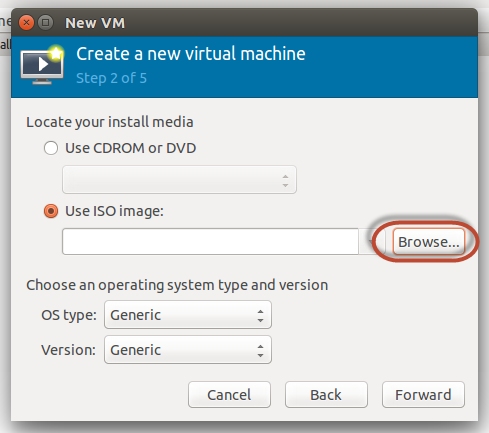 You can skip this if you don't plan on creating an Ubuntu desktop image on VMWare Workstation. 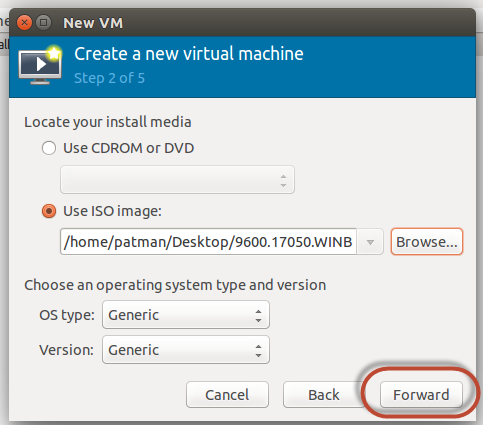 I am not going to go over in detail how to set up an Ubuntu image that can run KVM from within Workstation but I want to cover the big gotchas. 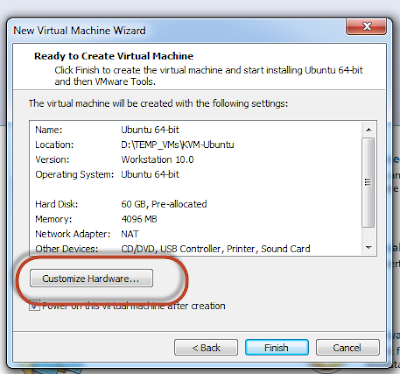 You do need to have processor that supports virtualization. 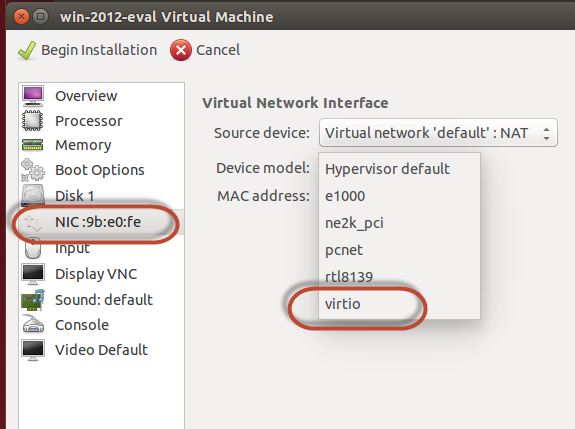 Before you start make sure Ubuntu has Access to VT-x tech on your chip. Open up a terminal and run this command. Must be greater than 0 and your probably good to go. I always like to reboot my machine after installing all the tools I need. 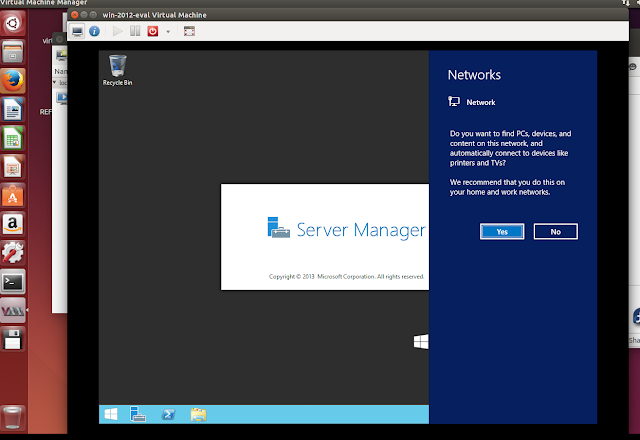 During one installation I got this error… I tried to figure out why and found a few sites. 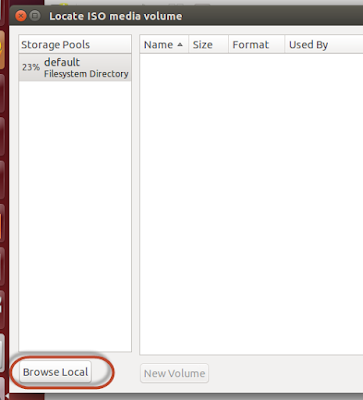 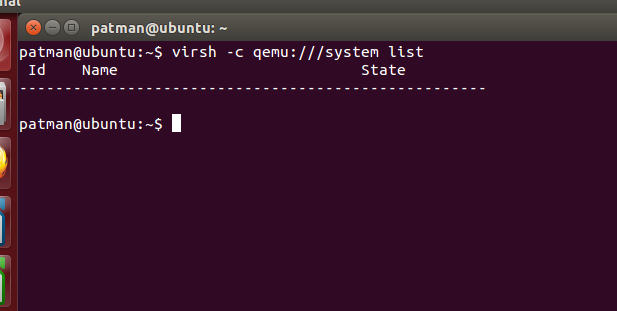 Since I was using a fresh install of Ubuntu 14.04.3 I just did a fresh install and tried this procedure. That is the response we want. 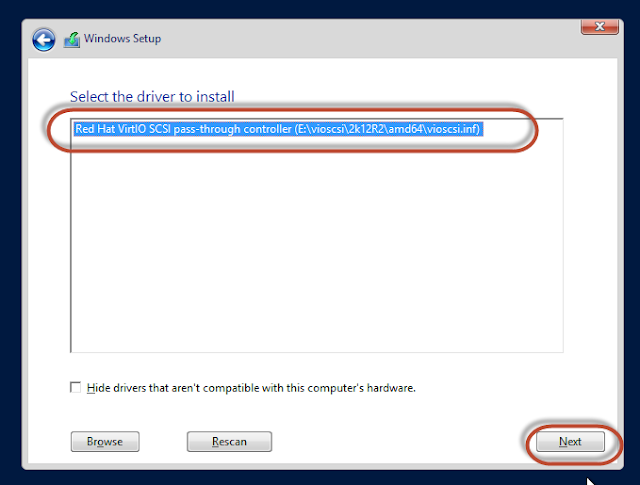 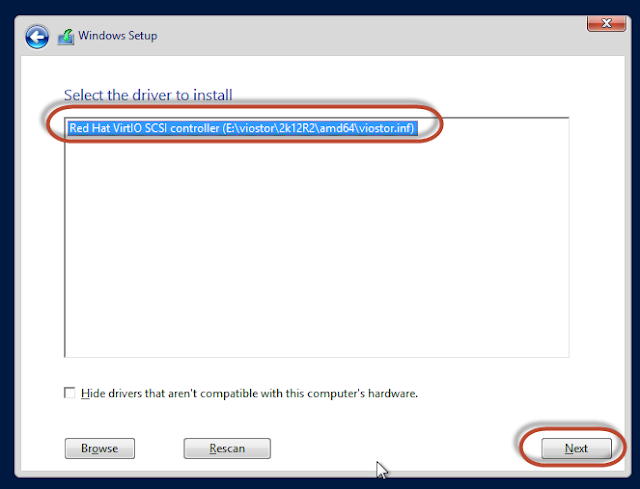 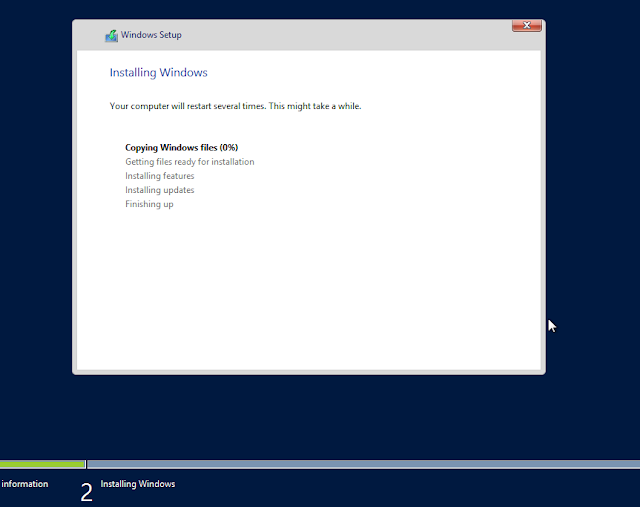 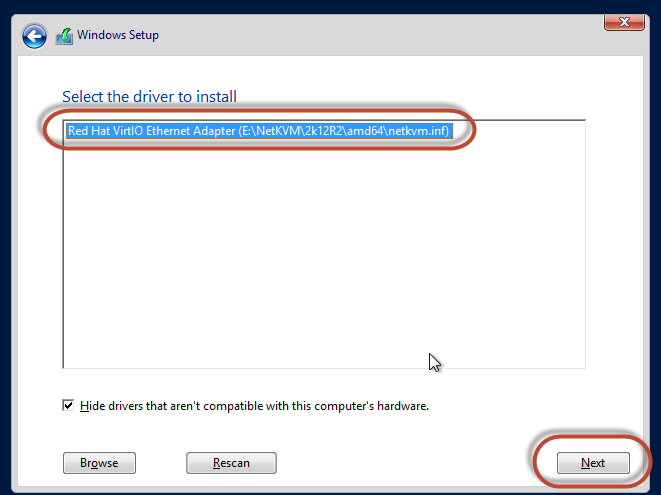 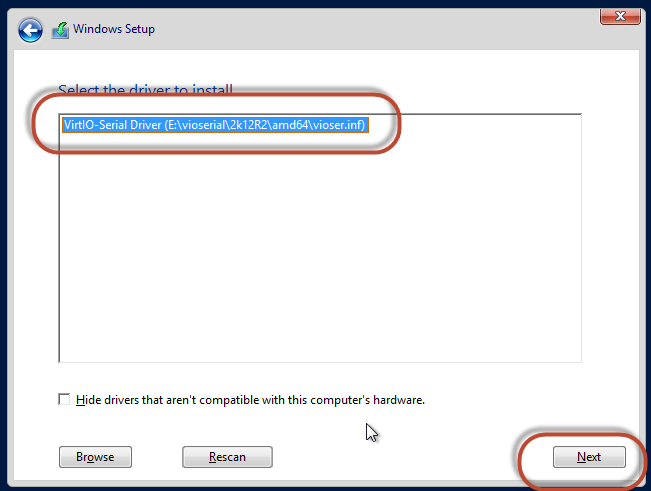 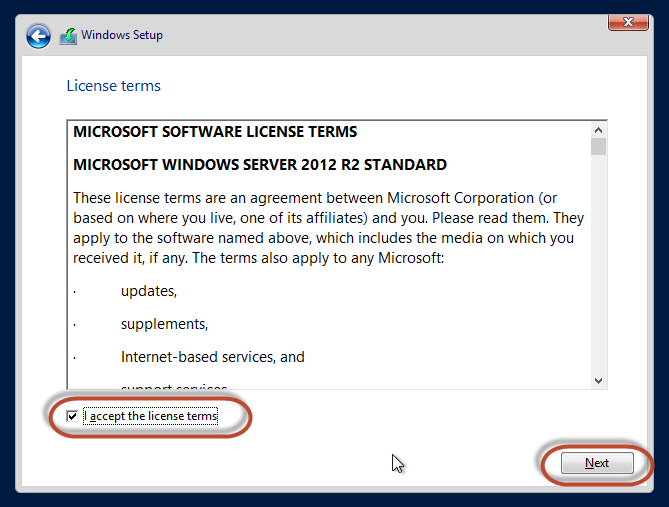 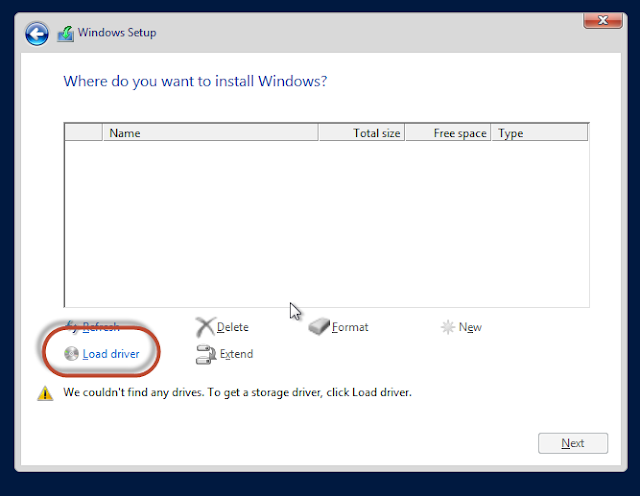 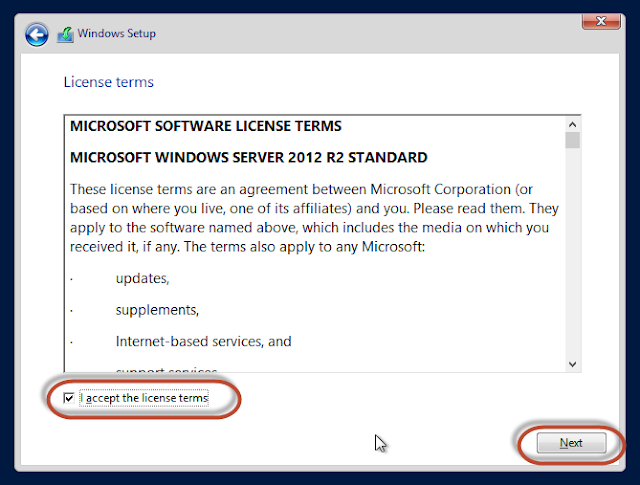 You need to download some Windows Drivers that will are required for windows to run on KVM. Select ISO and click Register to Continue. Fill out your information and click continue. 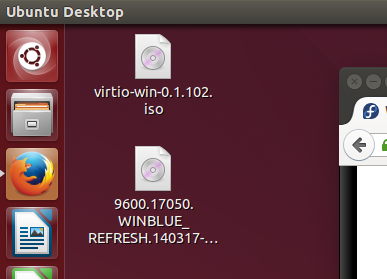 I moved the Virt ISO and Win ISO to the desktop. 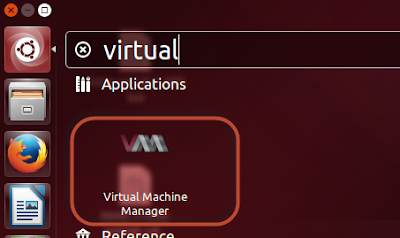 Search for Virtual and start up Virtual Machine Manager. 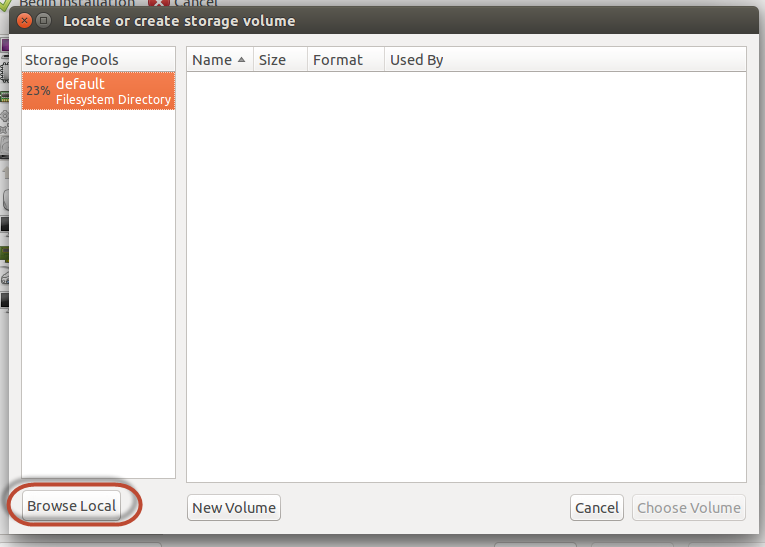 Give it a name and click Forward. 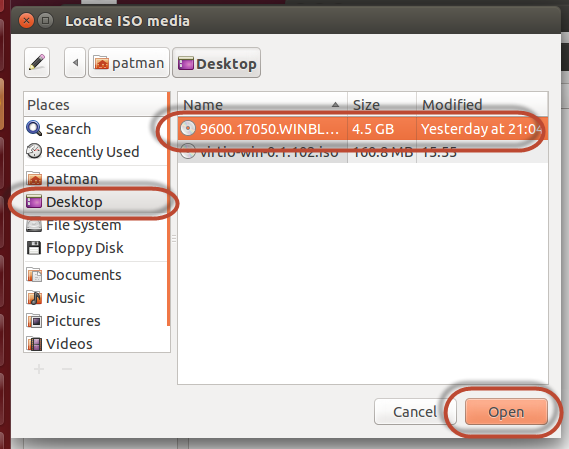 Find your windows ISO, in my case I put it on the Desktop. 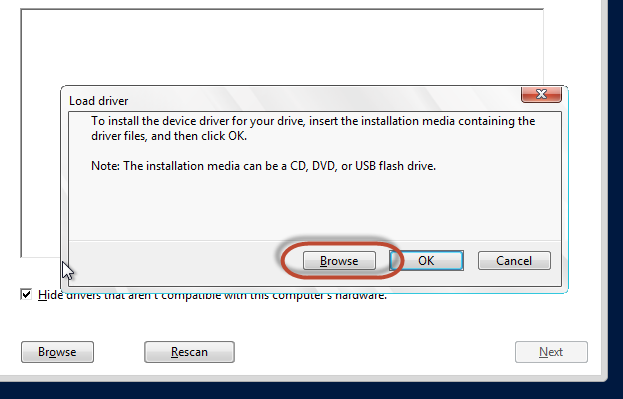 Select it and click Open. 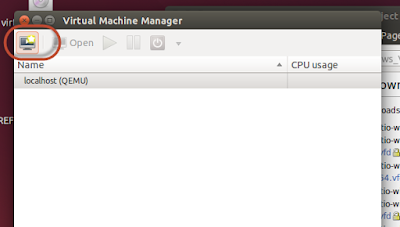 Set the memory and CPU #. 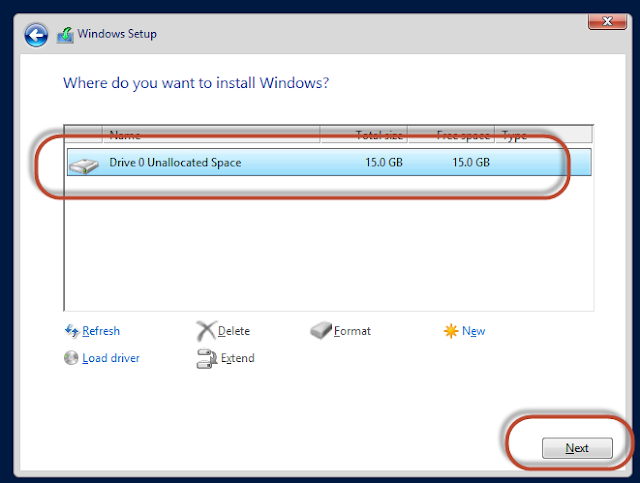 I think 2GiB is a minimum. Click Forward. Set the Disk Size. 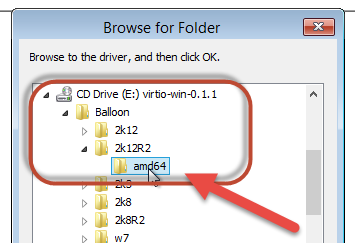 I am setting it to 15GiB which is pretty small for Windows. 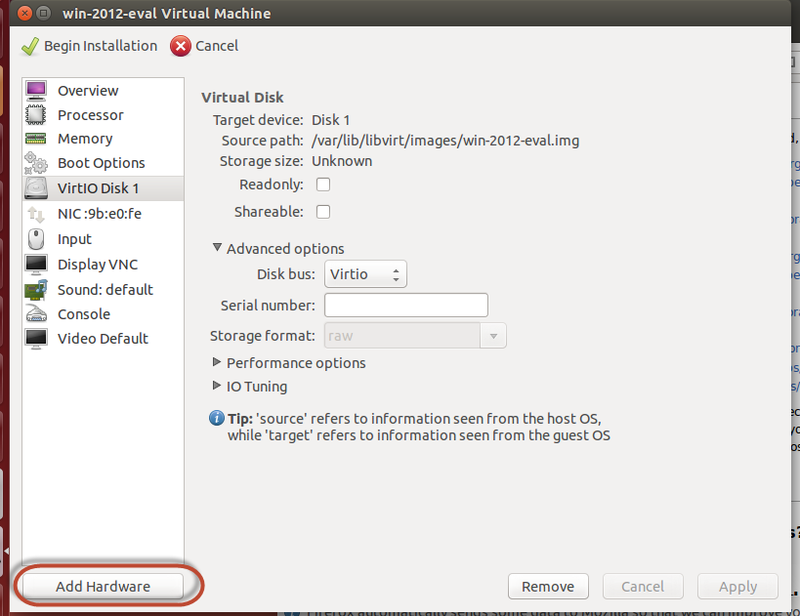 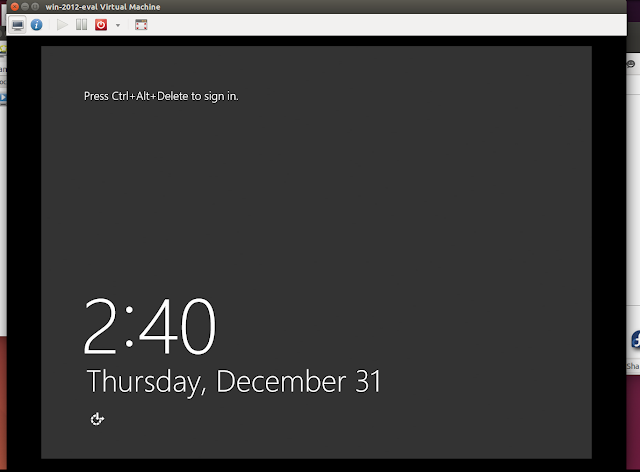 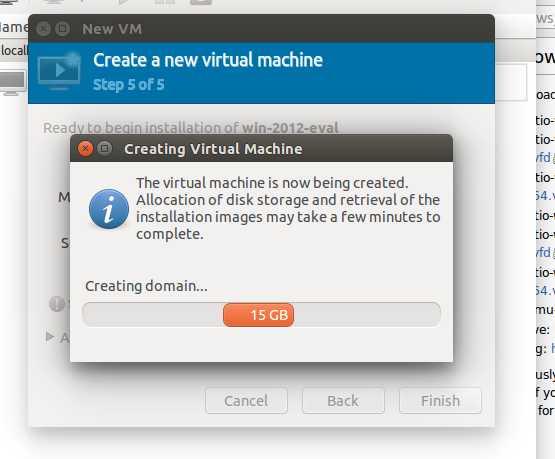 I am doing this because I am going to move this virtual machine around. I am not going to install any updates or any software it's going to be a base VM. 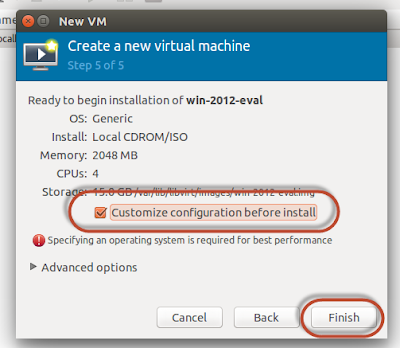 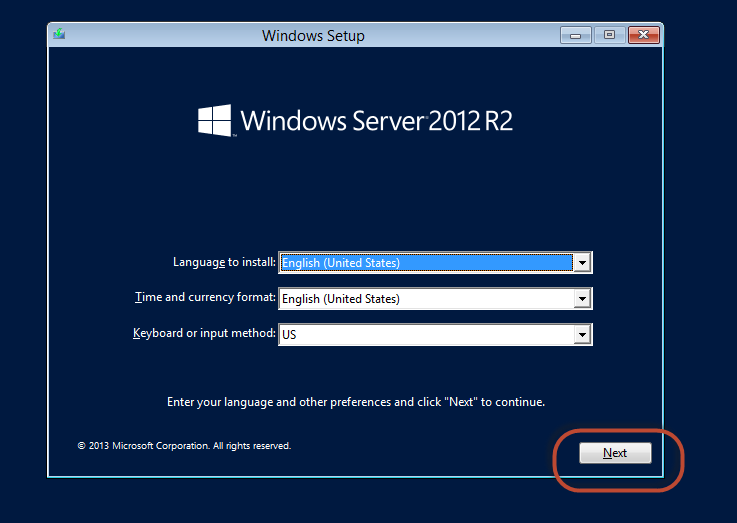 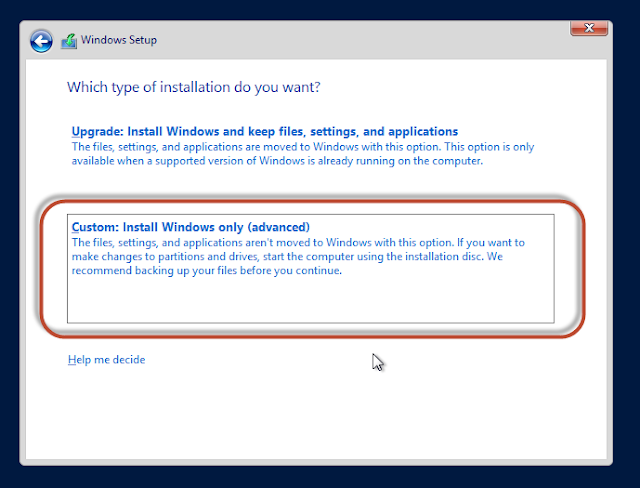 Checkbox Customize Configuration before Install and click Forward. 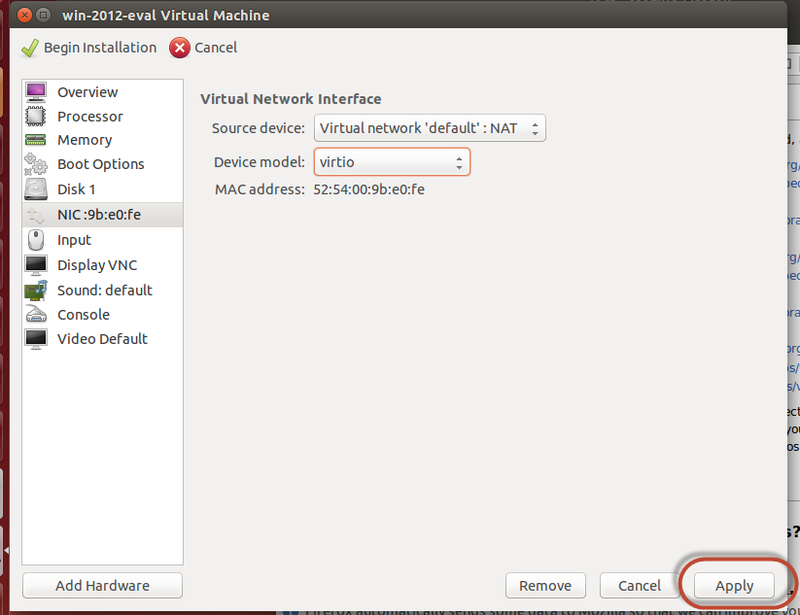 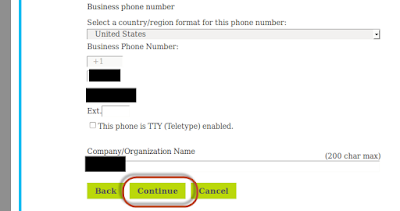 Select NIC and choose virtio from the pull down. 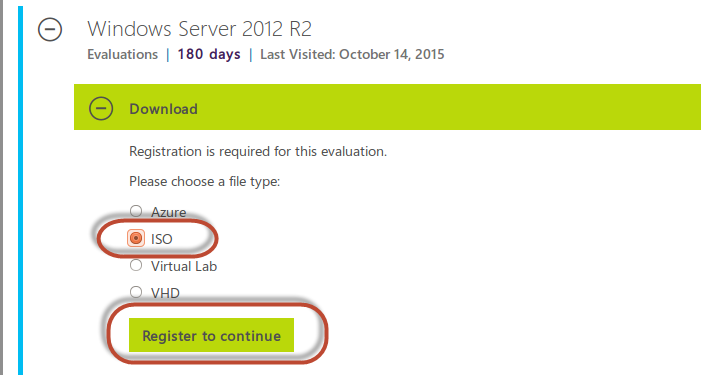 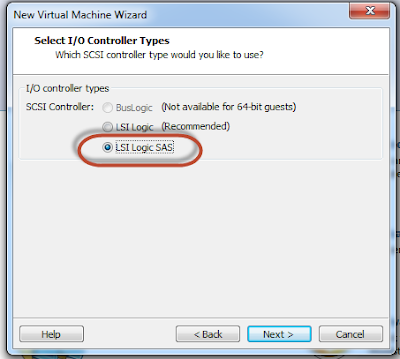 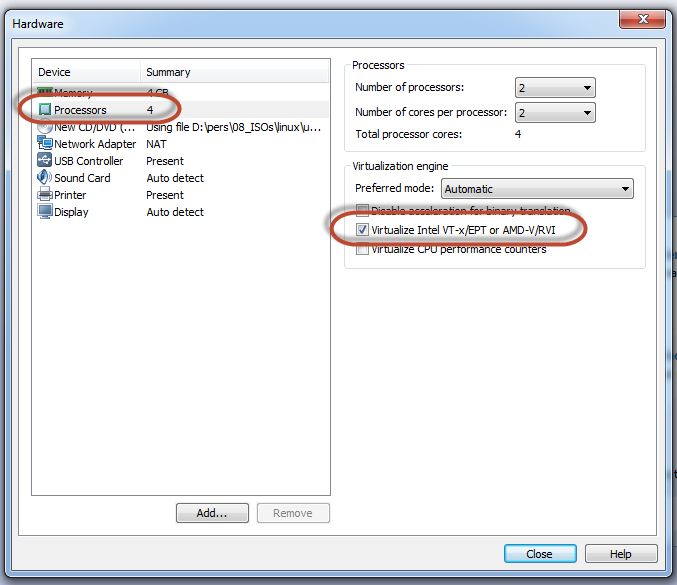 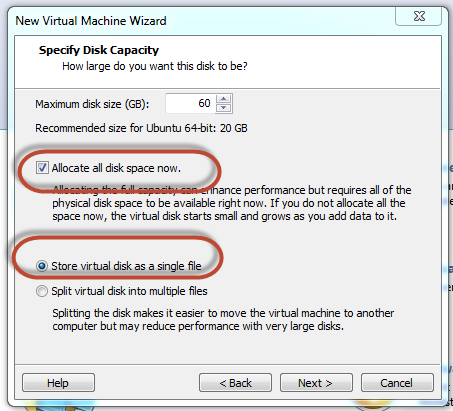 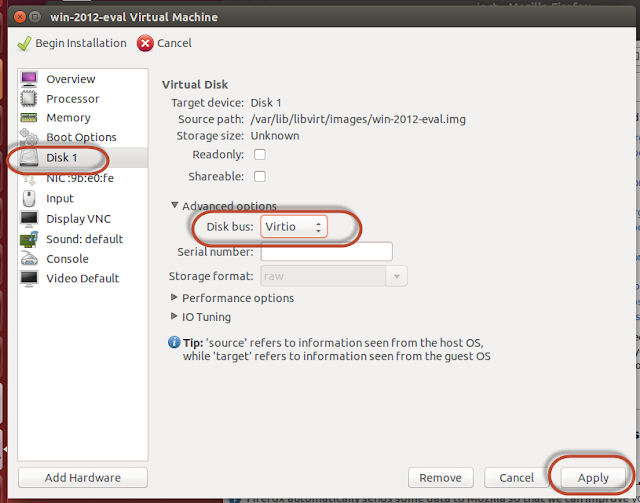 Select Disk, From the advanced option select Virtio for Disk bus and click apply. Select Storage, Select managed or other existing storage. 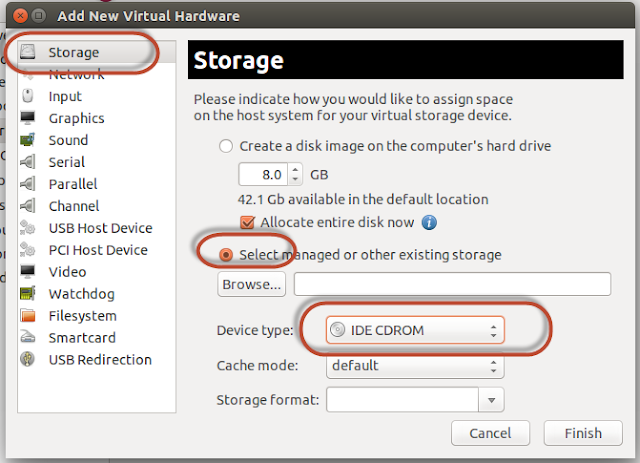 For Device type select IDE CDROM. 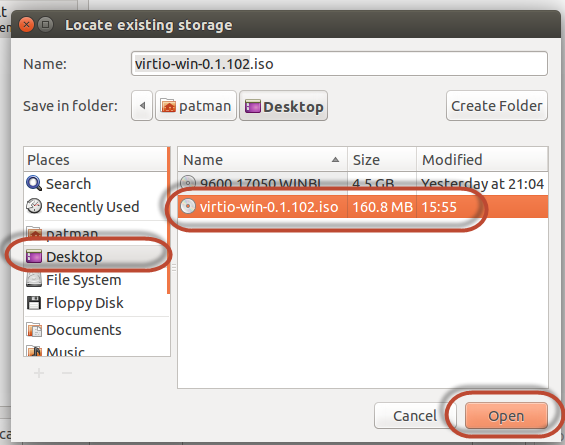 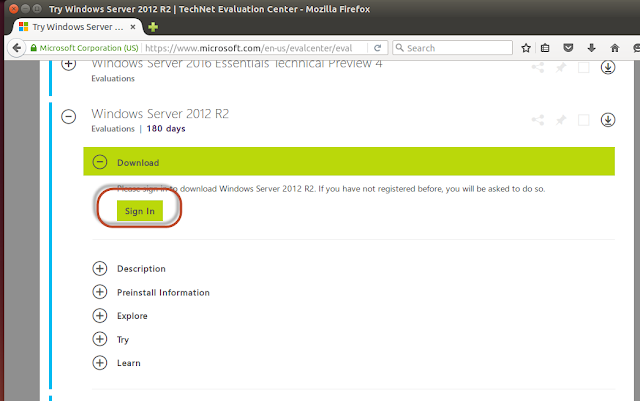 Select Desktop and select Virtio-win iso and click Open. 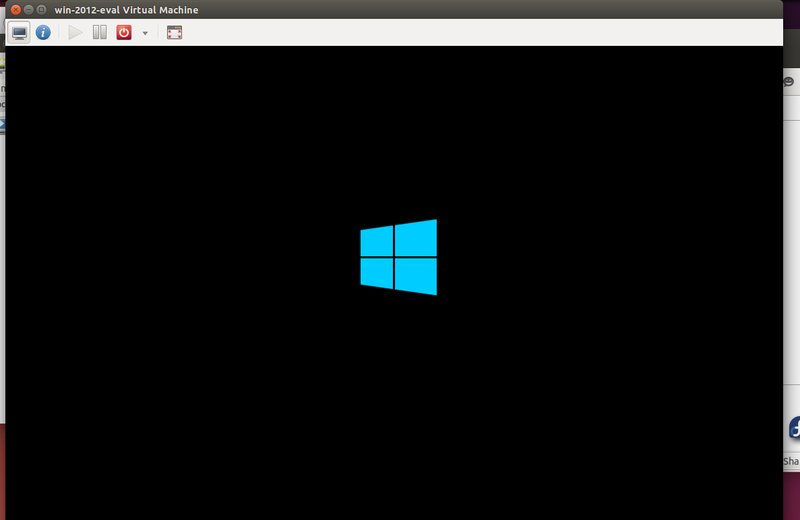 It starts to create the machine. Make the VM window bigger so you can see that it is loading files. 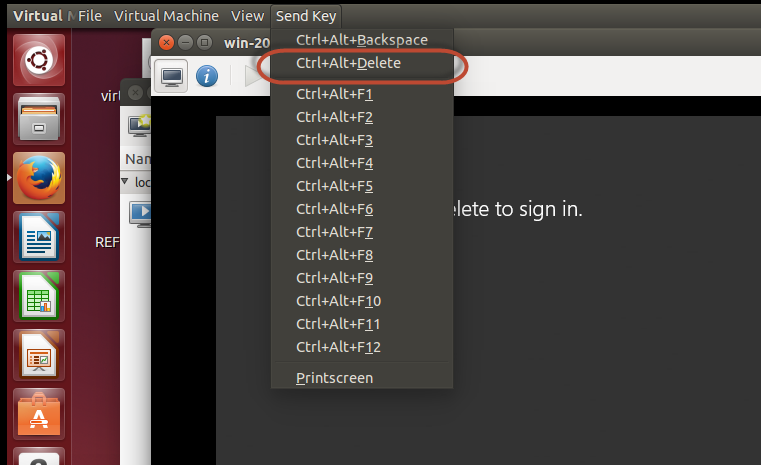 Do not forget ctrl+alt will get you out of the VM window. 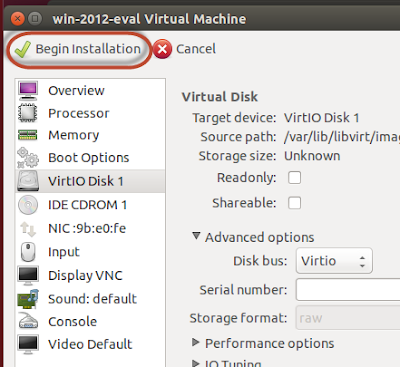 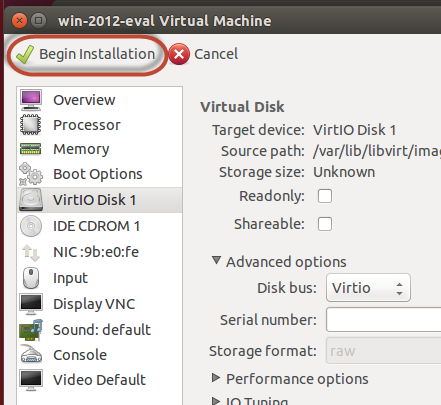 Now comes the fun part… Loading drivers from the virtio ISO. 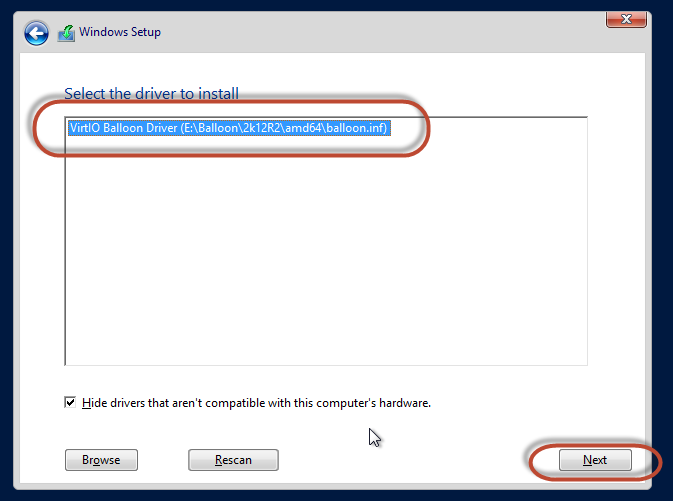 Select Ballon à 2k12R2 à amd64 and click Ok. 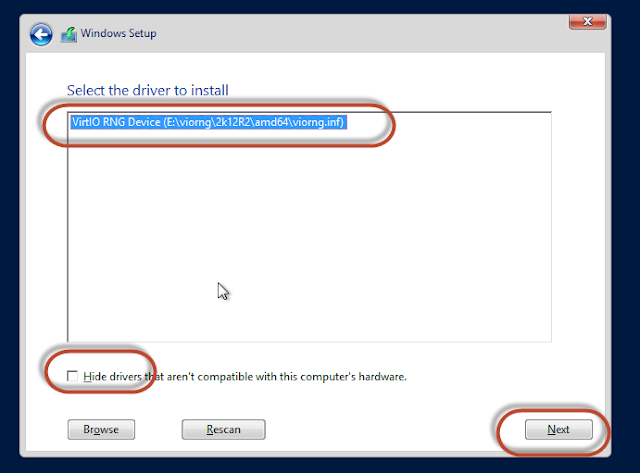 It should run a scan of the driver now. 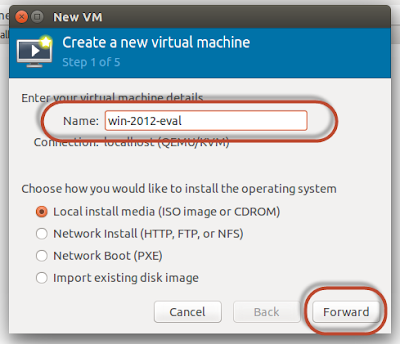 Select NetKVM à 2k12R2 à amd64 and click Ok. 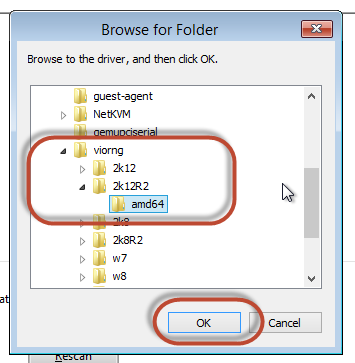 Select viorng à 2k12R2 à amd64 and click Ok. 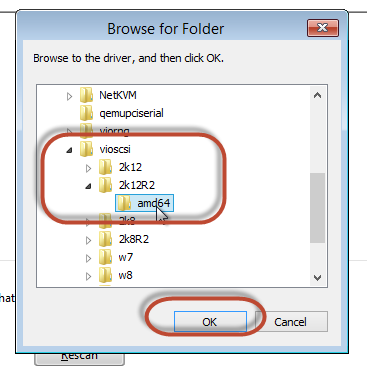 Select vioscsi à 2k12R2 à amd64 and click Ok. Select vioserial à 2k12R2 à amd64 and click Ok. 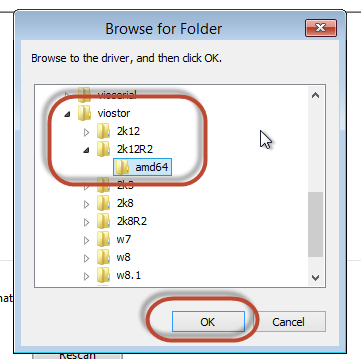 Select viostor à 2k12R2 à amd64 and click Ok.
Now you can see the drive! 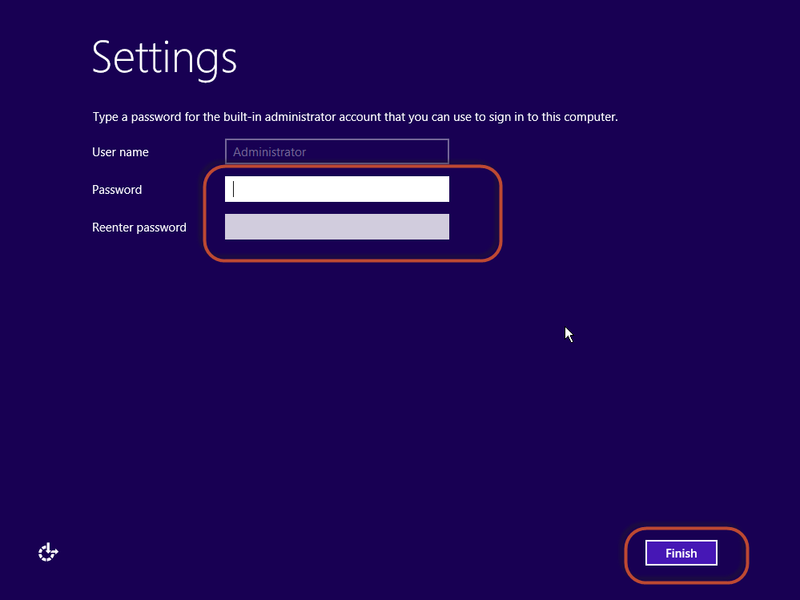 Set your Administrator password and click finish. Put in your password and log in. In case you want to copy the raw image here is a little bit of help. There is my raw image! Just copy it and move it. If you are in a situation like me and uploading a 15GiB file may be problematic… Split it up using the split command. 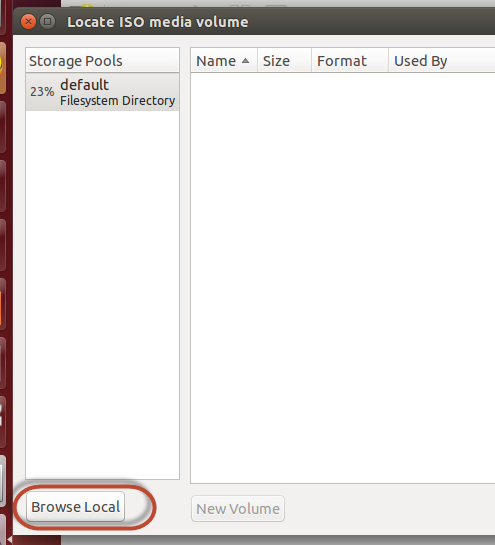 … Of course first you should gzip it! 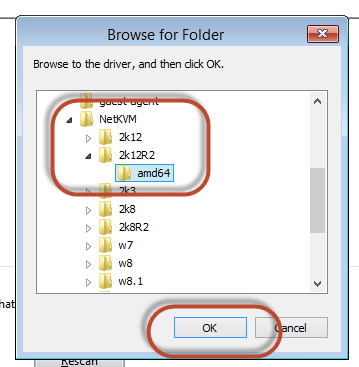 And to put them back together run the following. 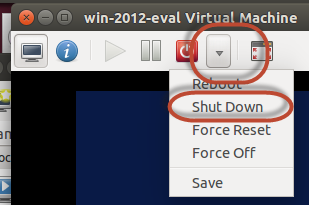 And gunzip it.